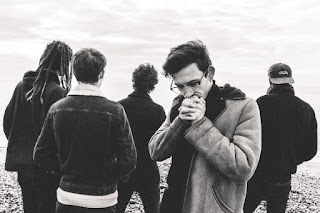 OCEANS REVEAL NEW SINGLE "SKIN"
British progressive/alternative hybrid OCEANS have revealed their stunning new single "Skin". The song is taken from their upcoming EP "Far From Composure" which will be released on March 13th 2018. The band commented "The song "Skin" is a reflection of living day to day life with an atopic skin condition, and the self-confidence issues it can cause. ‘Skin’ talks of looking into the future and looking past the harder times and in an ideal world, would help to raise awareness for atopic conditions as they are very overlooked by doctors, yet from experience they cause a lifetime of discomfort." Listen to the song at PureGrainAudio here: http://puregrainaudio.com/audio/uk-rockers-oceans-tease-far-from-composure-ep-with-stream-of-skin-single-premiere.